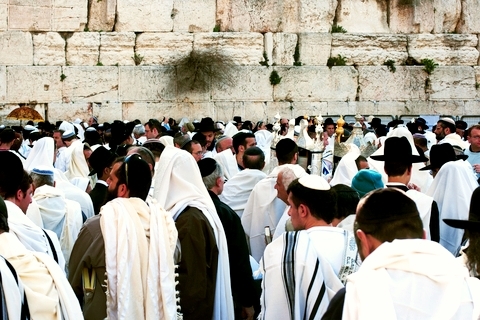 Jewish men gather at the Western (Wailing) Wall in Jerusalem to worship God on Passover. 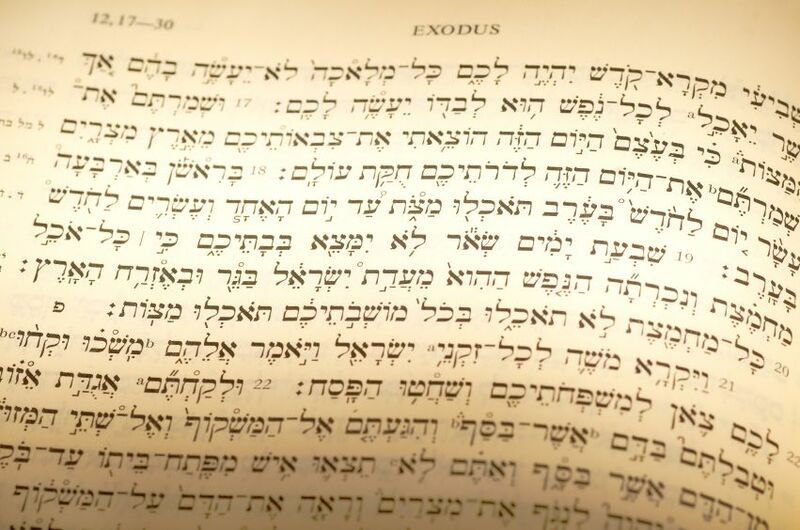 In last week’s Parasha, God told Moses to go to Pharaoh and demand that the Israelites be freed from slavery. Pharaoh, however, refused to free the Israelite slaves and God unleashed plagues on the Egyptians. The plagues were so severe that Pharaoh practically begged Moses to stop each plague, promising every time to free the Israelites. But instead of freeing them, he made their lives increasingly more difficult. 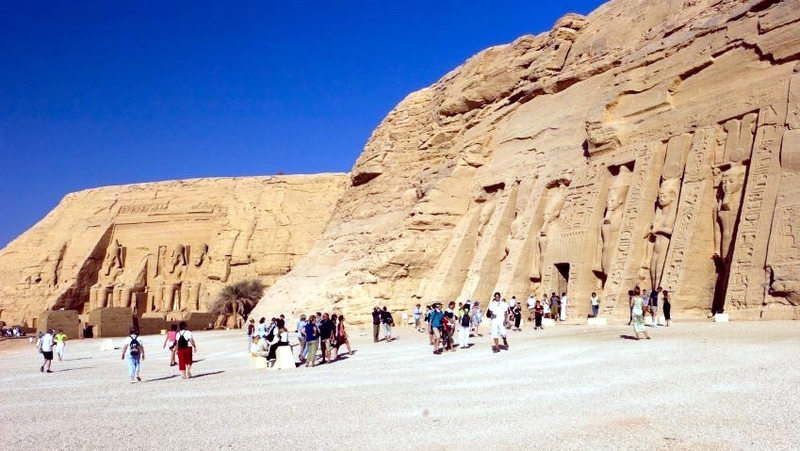 Tourists visiting the Abu Simbel temple complex in Egypt, which was built by Ramses II. Why Did God Demonstrate His Power in Egypt? Parasha Bo (Come) begins with the eighth plague upon Egypt—Locusts. We may wonder why God decided to demonstrate His power to both Israel and Egypt. After all, He was fully capable of delivering Israel without involving Pharaoh in the process. Scripture is clear on this: God hardened Pharaoh’s heart in order to demonstrate His power over the false gods of Egypt, represented by each of the ten plagues. 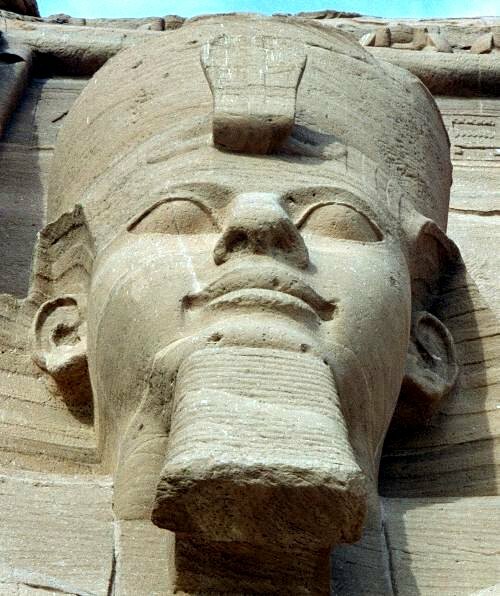 Pharaoh Ramses II of Egypt in Abu Simbel. God sought to liberate the children of Israel from Egypt for one purpose—that they may serve Him. But Pharaoh tried to get Moses to compromise with God by telling him that only the men could go into the wilderness to worship the Lord. So God brought the eighth plague of locusts upon Egypt. After God sent away the locusts, Pharaoh allowed the men and women to leave Egypt and worship the Lord, but he didn’t allow them to take their livestock. Lifting of the Torah: the Magbiah (“lifter”) has the honor of Hagbahah (lifting) and displaying the Torah’s Hebrew text for all to see. We must take this same attitude with the enemy of our soul and refuse to compromise. We must be determined to live completely and fully in God’s Kingdom of Light and to leave behind nothing in the kingdom of darkness! Only without compromising can we hope to serve God wholeheartedly. God wants to liberate us from the pharaoh of this world—from slavery to sin—so that we may become slaves of righteousness. And what a freedom it is to be a slave to righteousness! The enemy has no power over those who are slaves of righteousness. When Pharaoh refused to let the Israelites leave Egypt with their livestock, God sent the ninth plague of darkness. With this plague, Elohim (God) established His supremacy over the Egyptian sun god. Although the Egyptians were plunged into total darkness, the Israelites enjoyed light in their dwellings in the land of Goshen. Likewise, Yeshua (Jesus) came to give freedom to the prisoners of darkness, whether Jew or Gentile. The plague of darkness judged Amun and Ra, which is depicted in the tomb of Ramses IV. 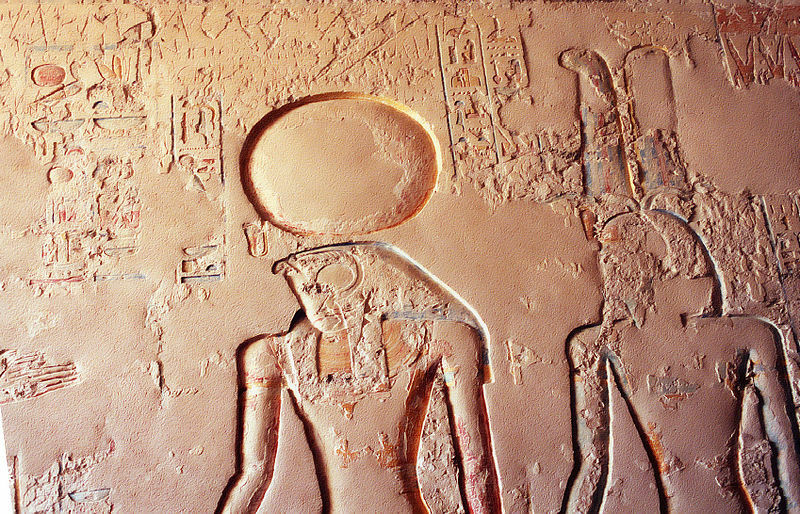 The sun-god Ra has the head of a falcon and the sun-disk resting on his head. The plagues revealed that Egypt’s gods were powerless and that the God of Israel was the one true God. As Covenant people of God, we can trust that even when there is total, paralyzing darkness in the world, we can still have light in our dwellings, just as the Israelites had in Goshen. If we want light in our homes and families, then we must turn from hatred and walk in love. We must stop cursing, fault finding, and arguing, and instead, begin blessing. 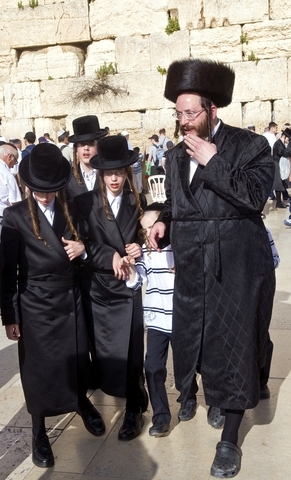 An Orthodox Jewish father brings his sons to the Western Wall, also called the Kotel, at Passover. 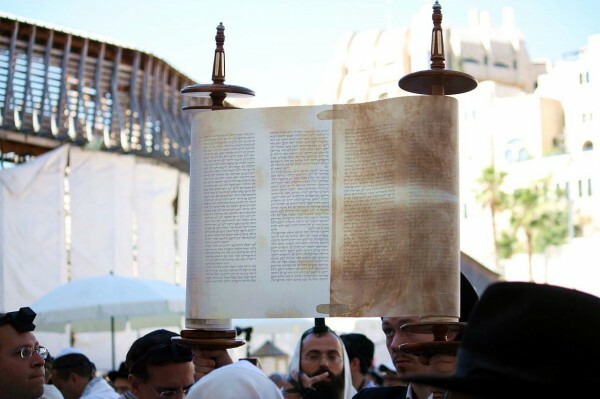 This week’s Parasha (Torah portion) includes the story of the first Pesach (Passover), approximately 3500 years ago. Passover is one of the most significant events in the Torah: it is the physical salvation of Israel through the blood of the lamb. It has significance for all Believers, Jew or Gentile, as it foreshadowed our spiritual salvation through the atoning blood of the Lamb of God, Yeshua HaMashiach (Jesus the Messiah). (mezuzot) of their dwelling places. When the blood was placed on the doorposts and lintels in Egypt, it formed the letter chet in Hebrew, which as a pictograph may mean separation, fence or wall. Together with the Hebrew letter Yud, which as a pictograph means hand—representing the power of God, it forms the word chai, meaning living. Chai is related to the Hebrew word chaim, which means life. The angel of death passed over those dwelling places where the blood had been applied to the lintel so that they lived. 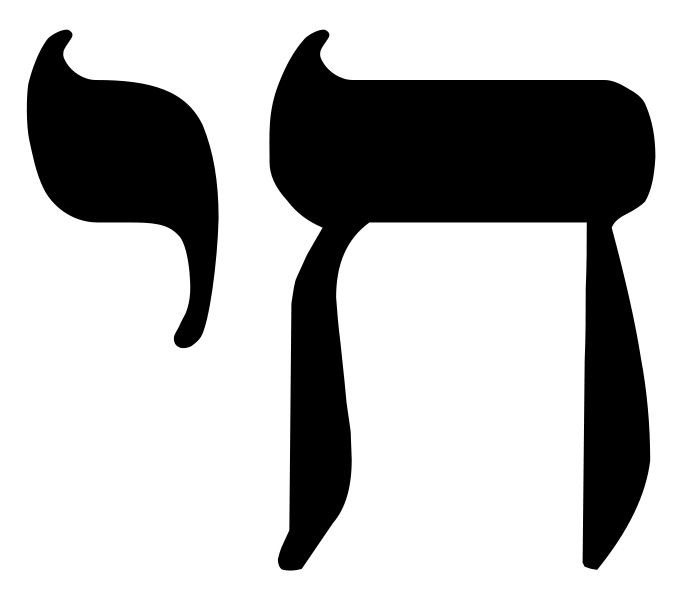 The Hebrew word chai (above) consists of the Hebrew letters Chet (ח) and Yud (י). 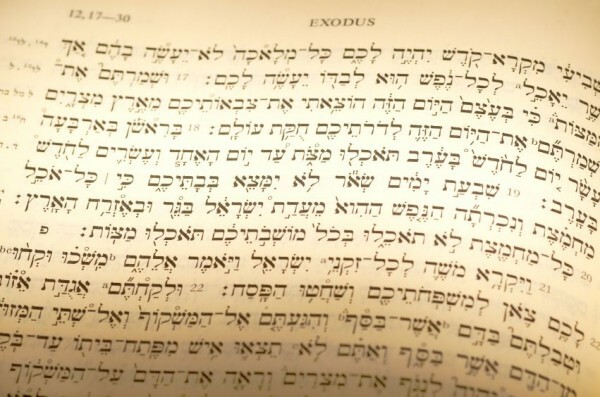 Unlike English, Hebrew is read right to left. All our sense of time is reckoned from this moment of freedom, the Passover, the day that God passed over us, and we were saved from His wrath. 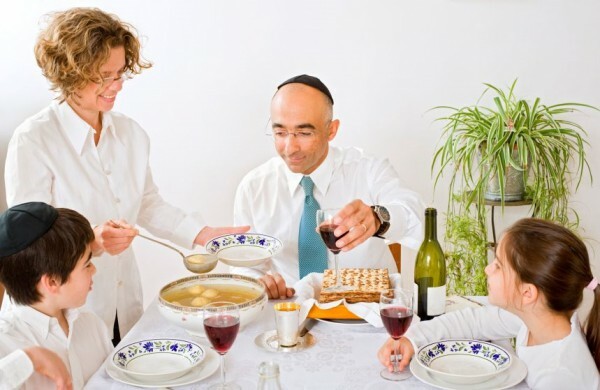 A Jewish family enjoys a celebratory meal at the Passover Seder. 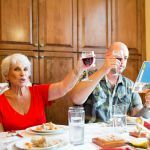 While most Jewish people celebrate the Passover each year, for many it’s simply a family tradition or a religious ritual. Like most Gentile Believers, Jewish people also need a deeper understanding of the Passover, especially the blood of the Lamb. Shabbat (Sabbath), the Ruach HaKodesh (Holy Spirit) would give them revelation about salvation through the blood of the Messiah. 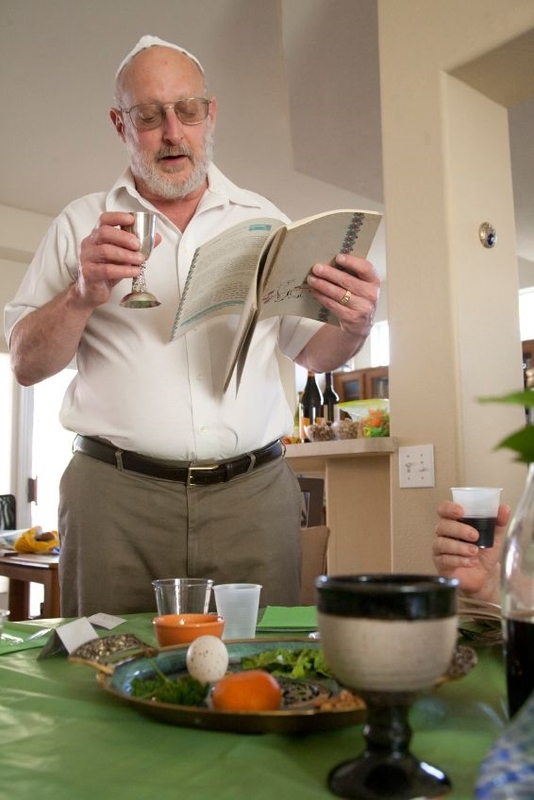 On Passover, the story of Passover is told using a Haggadah (Telling), the text that sets forth the order of the Passover Seder. When the angel of death passed over Egypt, a great cry of mourning was heard throughout the land. But wherever the blood had been applied to the doorpost in obedience to God, it was quiet and calm. 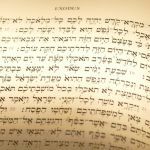 In the face of so much destruction, some find it difficult to reconcile God’s love for all people, as seen in the New Covenant (New Testament), with God’s judgment of sin in the Torah. But God didn’t just wipe out all the Egyptians. Before each plague, He warned them; He gave them time and opportunity to repent. At the same time, He put the umbrella of His protective covering over those who chose to be in covenant relationship with Him. Not only were the Israelites saved, but the Egyptians who feared God and entered a house with the blood of the lamb on the doorpost were also saved. privileged covenant status with YHVH (the Lord), the God of the Israelites, through the blood of the Jewish Messiah, Yeshua. Our own hardness of heart has ramifications not only for our own lives, but for our loved ones and for our businesses and employees. 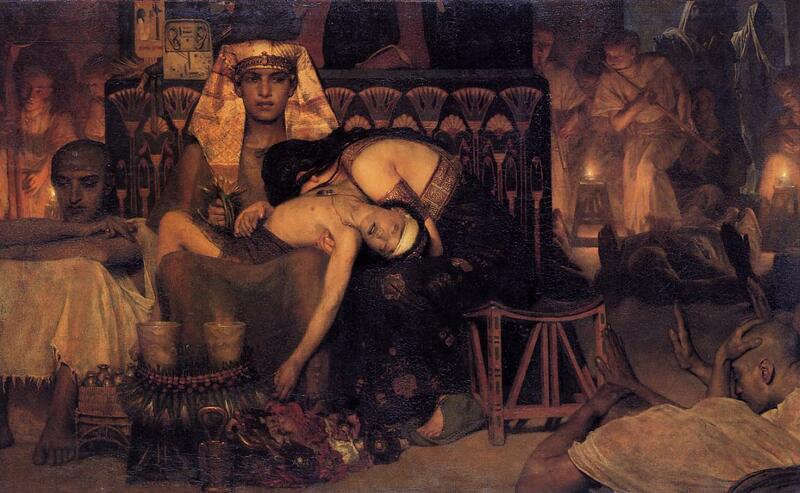 Pharaoh invited destruction upon himself, his family and all of Egypt simply because of the hardness of his heart. He refused to humble himself or to heed the ten rebukes of the plagues. 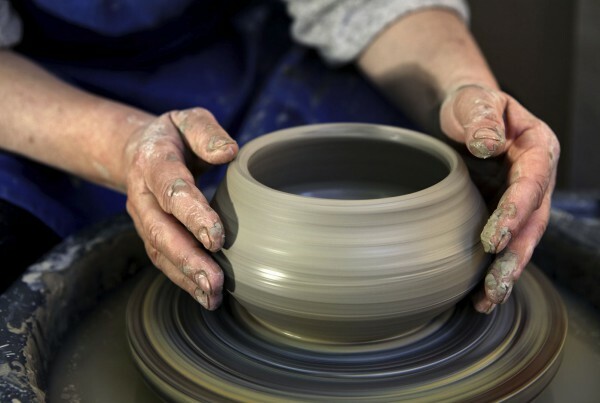 May our own hearts be soft clay in the Potter’s hands. May we each seek to walk in humility, to heed rebuke and to receive proper correction. Throughout the Tanakh (Hebrew Scriptures), the prophets foretell of the judgment that will come upon the earth. The blood of the lamb is the only thing powerful enough to protect us from the coming wrath of God. God is merciful and does not desire even one person to perish. Therefore, He has given each one of us the opportunity to place the blood of the lamb, by faith, on the doorposts and lintels of our hearts. We do this by receiving Yeshua’s atonement for our sins. Yeshua is returning, not as the meek, sacrificial lamb, but as the mighty Lion of Yehudah (Judah), to execute judgment upon the peoples of the earth, especially upon the enemies of Israel. Parasha Bo (Come) begins with the eighth plague upon Egypt—Locusts. We may wonder why God decided to demonstrate His power to both Israel and Egypt. After all, He was fully capable of delivering Israel without involving Pharaoh in the process. Scripture is clear on this: God hardened Pharaoh’s heart in order to demonstrate His power over the false gods of Egypt, represented by each of the ten plagues.